UPDATE: Update! 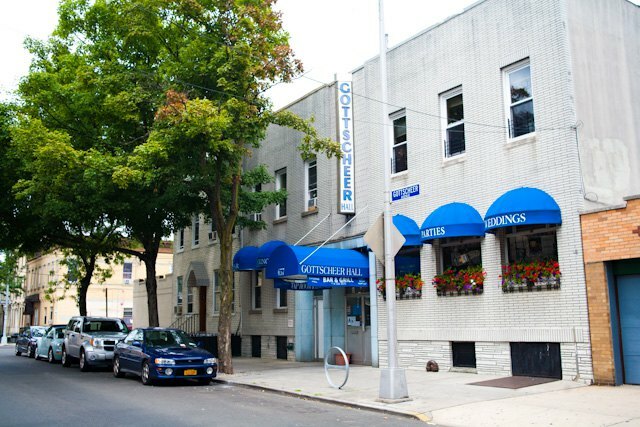 Rubulad will NOT be held at Ridgewood's Gottscheer Hall. But instead at the party is meeting at 269 Norman Ave between Kingsland and Monitor (L train to Graham ave +15 min walk or G train to Nassau +10 min walk).There directions will be shared to a super-secret loft two blocks away. Follow their Facebook events for updates. What I'm trying to say is that Rubulad is back and for the first time in its history, Rubulad will be held in Ridgewood's legendary venue Gottscheer Beer Hall (I admit, I didn't see that coming but it makes sense). 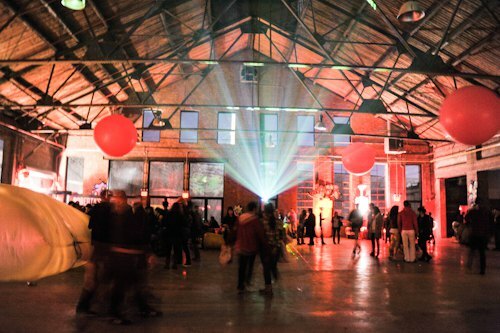 "This 75-year old venue in the heart of Ridgewood features good vibes, multiple ballrooms and no scary bouncers or nightclub nonsense," emailed us Rubulad representative, and we have to agree. Gottscheer Beer Hall is awesome, and Rubulad will surely gain an interesting Ridgewood vibe. 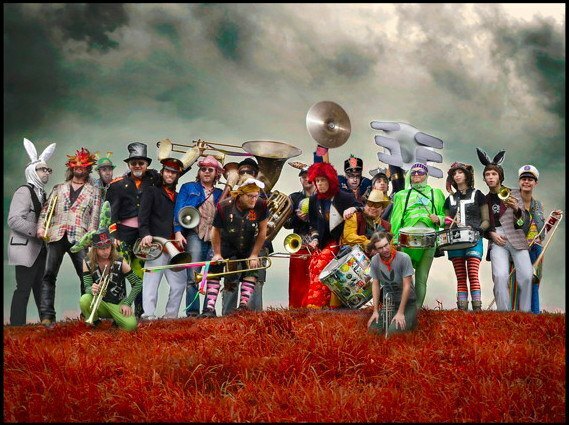 On October 18, 2014, Rubulad will join the forces with Honk NYC!, a march band festival going down on October 13 through 18, which means a fabulous night of "the most raucous marching band music on the cymbal-clashing circuit." So who will play? Get ready for A LOT of brass: "Chicago’s Environmental Encroachment, the magical circus bunny band, beloved Burning Man legends and HONK NYC! all-stars; Lucky Chops Brass Band, masters of funky, joyful rhythms and good times, born and bred in the city of New York; from Paris: Les Muses Tanguent, “The Mustangs,” the 19-piece all-girl French fanfare; Bombrasstico, a living, breathing groove machine with acoustic dance music that bumps harder; from Russia: PaKaVa It’, badass global brass from the streets of Moscow; and from Washington State: Chaotic Noise Marching Corps, Seattle’s powerhouse alterna-marching band!" In addition to live music, they will have DJs Joro Boro, Illexandra, DJ Mojo and more with the emcee Tanya Solomon. Rubulad also promises G. Scopitronic’s Non-Stop Film Fest, the swirling candy colors of The Sperm Whale’s projections and Norm Francoeur’s Light Circus Extraordinaire. Oh and Gottscheer will be serving food and drink all night, featuring their very affordably prices sausages, latkes, and $3 beer. Of course it wouldn't be a proper Rubulad if there wasn't a dress code! Come dressed to bombast: marching band meets Baron Munchausen, Alpine Antics, Hoochie Koo Cheerleaders and hoopin’ pom-pom girls or sport your best dirndl! Rubulad and Honk NYC!’s Brass-Tastic Blowout; Saturday, October 18; 9PM till late; Gottscheer Hall, 657 Fairview Ave., Ridgewood. $10 before 10pm, $20 otherwise and special $15 advance tickets at 5pm Monday October available at Honk!NYC. RSVP on Facebook.